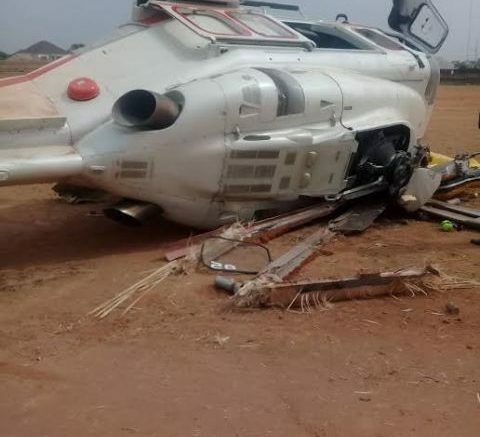 The Accident Investigation Bureau (AIB) has solicited for the support of members of the public as the bureau begins investigation into the Agusta Westland 139 helicopter with registration No 5N-CML and serial number: 31389, which crashed in Kabba, Kogi State, with the Vice President, Prof. Yemi Osinbajo and 11 other souls on board. The chopper is owned and operated by Caverton Helicopters. The Commissioner for AIB, Engr. Akin Olateru said this in a statement issued in Lagos today. Olateru said that AIB, the agency of government created under the Civil Aviation Act 2006 with a clear mandate to investigate air accidents and serious incidents has commenced investigation into the accident. He assured the public that the investigation into the accident would not only be detailed but that it would also be thorough and timely. He also appealed to the media and the public to respect the privacy of the people involved and not to pre-empt the cause of the accident. “AIB will release the preliminary report which will include factual information about the accident in a matter of days, “Olateru assured. He appreciated the professionalism of the rescue team, without whose effort there may have been recorded casualty and/or injury. Be the first to comment on "Osinbajo Chopper Accident: AIB Appeals For Support, As Investigation Begins"